Departing the resort this small group tour will travel through the landscape to the entrance of Uluru Kata Tjuta National Park. From this point it is only a matter of minutes before the vista of Uluru rises from the sand dunes to demonstrate its enormity and presence in this country. 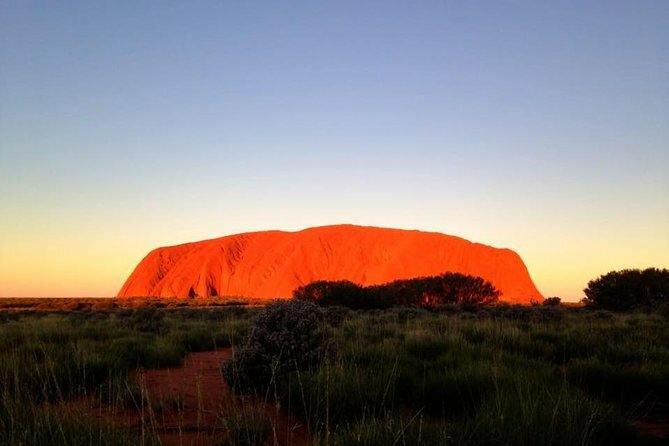 Admire the immensity of Uluru as the sun sets and grab that 'postcard' shot of this impressive monolith as the colours change. Enjoy a glass of sparkling wine and appetisers as you take in the uninterrupted view of Uluru with Kata Tjuta in the background. A photographer's dream.